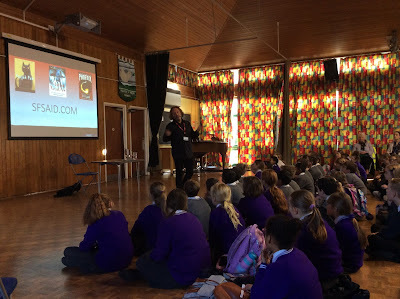 I'd like to say a very big THANK YOU to Siobhan Eastwood and everyone I met at St John's C of E Primary School for the wonderful welcome they gave me when I visited them last week! 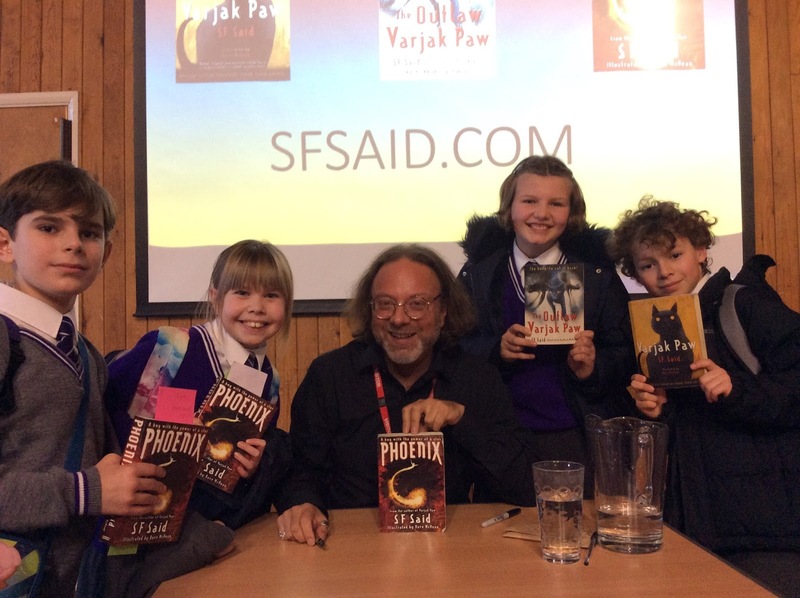 On school visits, I like to ask people what their favourite books are, and I'm always excited when I hear a range of different responses; it shows that people are reading a lot of books! Here, I heard one of the widest ranges of responses I've ever come across – everything from old classics like SE Hinton's The Outsiders to recent classics like Polly Ho-Yen's The Boy In The Tower. This shows what fantastic work the teachers are doing here. 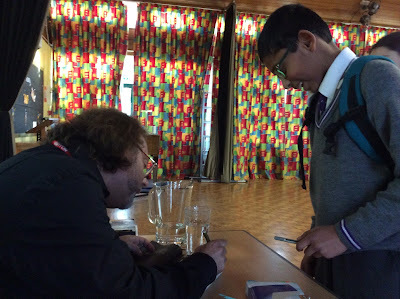 At the end of the day, we had a bookselling and signing session organised by the excellent Pea Green Boat Books. It was a total pleasure to sign a book for everyone who wanted one. 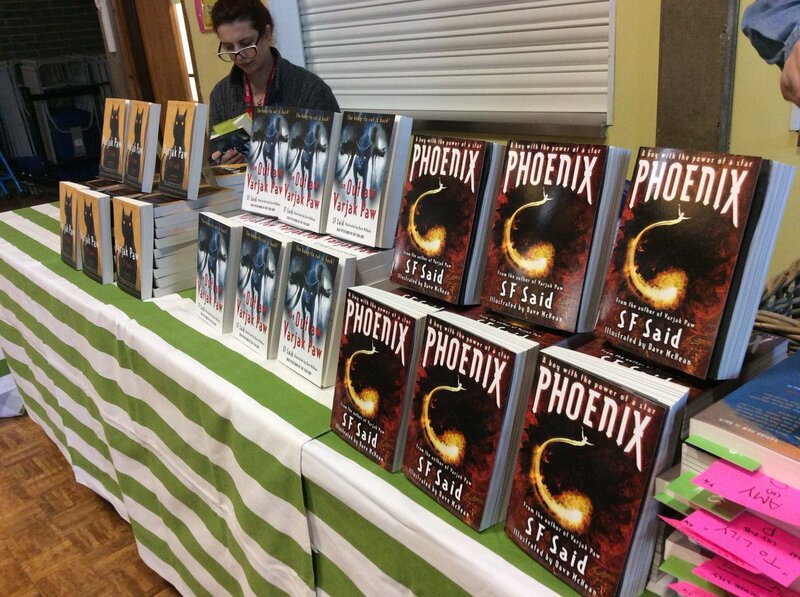 If there's anyone who didn't get a book on the day but would like one, Pea Green have some signed copies which you can order directly from them through this link. 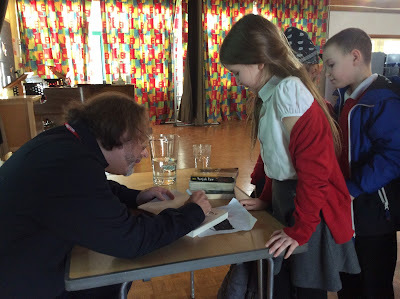 And if there's anyone who'd like to ask another question, or to say anything about the visit or my books, just leave leave me a comment below!